James Webb Space Telescope’s mirrors. Is this dang telescope ever going to launch? 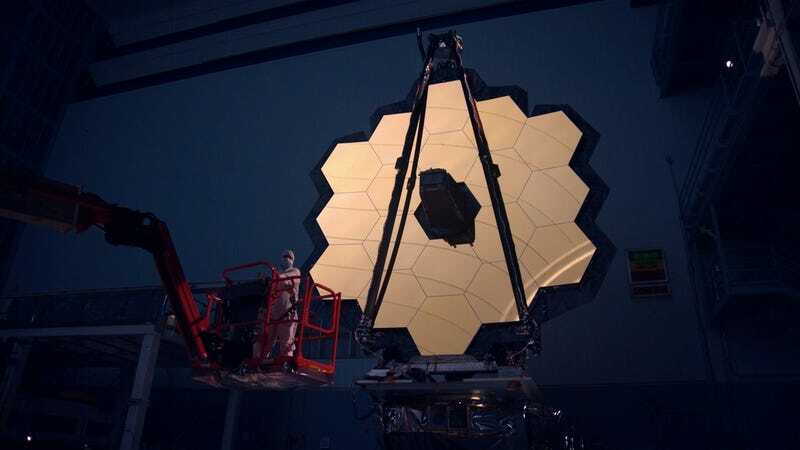 NASA has announced that, once again, it will be pushing back the launch date of the much-anticipated James Webb Space Telescope. Just a few months ago, NASA announced in a press release that it would push the launch back, from late 2018 to early 2019. Now, the earliest launch is May 2020. The agency’s administrator, Robert Lightfoot, confirmed that the hardware has all been built, but there are new issues with its spacecraft element that will force the team to take more time. Essentially, the parts all work individually, but the whole integrated system needs further testing. NASA will be putting together an external independent review board to look at project and make further recommendations to help NASA complete it on time. The press release also states that once NASA and the European Space Agency agree on a launch date, they’ll be able to deliver a final cost estimate—one that could exceed the final phase’s $8 billion budget. Obviously, scientists want this thing to work when it goes to space. It will do some ambitious science, include observing the oldest galaxies and comparing them to newer ones, looking at how stars form in spots Hubble couldn’t see, and even studying exoplanets. Still, surely this can’t be good for those hoping to make the case for JWST’s potential successor, WFIRST, which would be scrapped by Trump’s proposed 2019 budget. But it’s clear that over a decade of setbacks have plagued the scope. Hopefully NASA can get testing done, and its act together, without any more delays.